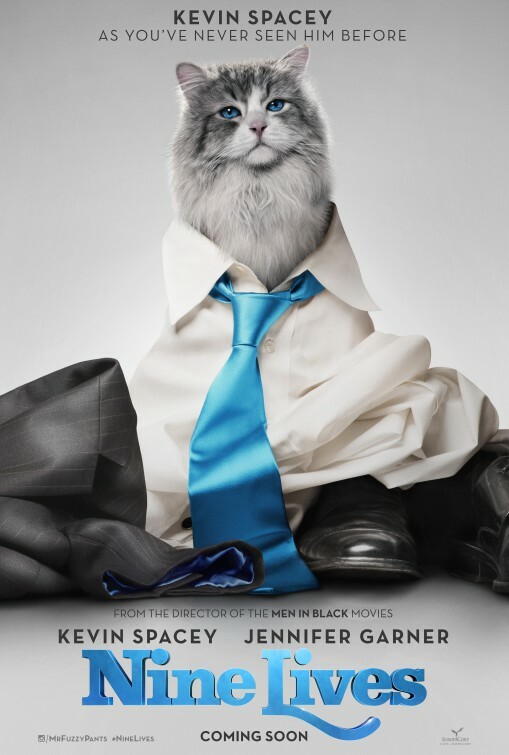 Synopsis: A stuffy businessman finds himself trapped inside the body of his family’s cat. Thoughts: Well…I just…I mean…where do you start? Two time Oscar winner Kevin Spacey (Working Girl) stars in this late-summer release family film that finds him playing a snooty businessman inhabiting the body of his pet cat. Surprise! He hates cats!!! If the trailer has me watching in horrified amazement, I can only imagine what emotions the finished product will produce within me. Directed by Barry Sonnenfeld (or, to quote the poster, ‘the director of the Men in Black movies’) I guess I’m not all that shocked to see Jennifer Garner (Alexander and the Terrible, Horrible, No Good, Very Bad Day) pop up here since she’s made a career of saying yes to any and all movies. As much as I think Spacey is a monster in real life, I can’t for the life of me figure out why he’s attached himself to this cheap looking mess. August cannot come fast enough. Review: Back in the ‘50s and ‘60s, Walt Disney Studios used to crank out their live-action pictures with regularity, keeping the home fires burning while readying their latest animated release. From shaggy dogs to absent-minded professors to a king of the wild frontier, from identical twins pulling a fast one on their divorced parents to a monkey’s uncle to babes in toyland, the studio cast a wide net of fantasy and more often than not put forth winning family entertainment that weren’t Oscar caliber but have managed to stand the test of time all the same. In recent years, there’s been a revitalization of Disney focusing on live-action features. Favoring true stories of uphill battles instead of the more fantastical escapism that maybe was more necessary half a century ago, there’s a definite formula at work here and no one seems particularly interested in changing it up. A few of these films have won me over like McFarland U.S.A. and Alexander and the Terrible, Horrible, No Good, Very Bad Day but on the other side of the coin you have disappointments like The Odd Life of Timothy Green and Million Dollar Arm. 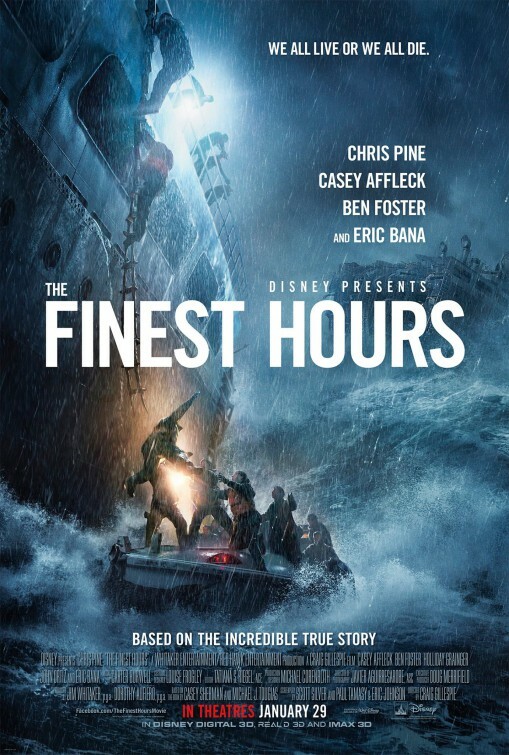 The director of the overstuffed Million Dollar Arm, Craig Gillespie, returns to cinemas with The Finest Hours, a drama in real life adventure documenting the brave rescue of a crew on a sinking oil liner by a small Coast Guard boat. The early trailers may have given most of the movie away, but to their credit they are far more exciting than the finished product. Coast Guard Captain Bernie Webber (Chris Pine, Into the Woods) barely has time to ask his commanding officer (Eric Bana, Closed Circuit) permission to marry his girlfriend (Holliday Grainger, Cinderella, Disney’s excellent 2015 offering) before he’s sent out to rescue the crew of SS Pendleton, a T-2 oil tanker headed for Boston ripped in half during a large weather system felt up and down the New England coast. Aboard the failing ship, engineer Ray Sybert (Casey Affleck, Interstellar) overcomes crew resistance to lead the men on a risky maneuver in hopes of buying more time as their rescue vessel draws near. All the makings of an exciting movie…if only we could see what was actually going on. Gillespie and cinematographer Javier Aguirresarobe (Goosebumps, Blue Jasmine, the remake of Poltergeist) set so much of the film in the whiteout conditions on land or the rain heavy visages on the open sea that audiences will wind up relying on voice recognition to figure out who’s talking and what’s happening. It doesn’t help that in dark lighting and soaking wet almost every male in the film starts to look alike, further complicating attempts to follow the action. And did I mention it’s in 3D? And it’s the 3D that doesn’t improve the feature in the slightest, with the only noticeable dimensional change coming during the credits. Pine makes another bid for dramatic leading man but it’s clear he’s better suited to being the captain of the Starship Enterprise in Star Trek, Star Trek: Into Darkness and the upcoming Star Trek Beyond. With so many close-ups of his mournful (and, it must be said, slightly crossed) eyes, Pine emotes enough for the entire cast which is directly countered by Affleck’s barely awake effort. Reacting to his sinking vessel or a fallen shipmate with the gusto of Rip Van Winkle, Affleck may have been going for laid-back but winds up flat-backed, sleepwalking through most of the film. If there’s a reason to see the movie, it’s for Grainger as Bernie’s spitfire fiancée. Determined not to lose the man she loves so soon after they get engaged, she’s got spirit to spare whether she’s standing up to Bernie’s boss or learning the hard realities of signing up to being the wife of a Coast Guard captain. Alas, Grainger can’t be in two places at once so every time the film shifts back to the sea we feel her absence. Poor Ben Foster (Lone Survivor) looks absolutely miserable as Bernie’s second in command…and not just because he spends the majority of the film sopping wet. Foster is known to go all-in with his characters but feels restrained here and it clearly makes him uncomfortable. Based on the novel The Finest Hours: The True Story of the U.S. Coast Guard’s Most Daring Sea Rescue by Michael J. Tougias and Casey Sherman, the script from Scott Silver, Paul Tamasy, and Eric Johnson dallies around in the first half before rushing through the climactic rescue attempt that should be the dramatic peak of the film. In all fairness, little weight is given to anything in the film but it’s strange the scene highlighted in all of the marketing materials comes up and is over so quickly. Those feeling nostalgic for the films made by Walt Disney back in the studio’s live-action golden days were likely looking forward to The Finest Hours. I know because I was one of them. So it’s a bummer to report there’s a curious lack of the adventure and magic I had hoped to find in this true life tale of a rescue against all odds on the high seas. While there were a few beacons of light to be found, should you choose to head out to sea with Pine and the gang the hours you’ll spend in the theater won’t be the finest…they’ll be merely fine. Synopsis: Four waves of increasingly deadly alien attacks have left most of Earth decimated. Cassie is on the run, desperately trying to save her younger brother. Review: As is tradition, January is proving to be a rough month at the movies…which is largely why The 5th Wave is only the second movie I’ve seen in the theaters so far in this new year. While it’s not as pretentiously terrible as the other movie I saw earlier in the month (Anomalisa…oy), the latest big screen first installment of a Young Adult trilogy of novels struggles to set itself apart from the numerous other (and better) page to screen adaptations. 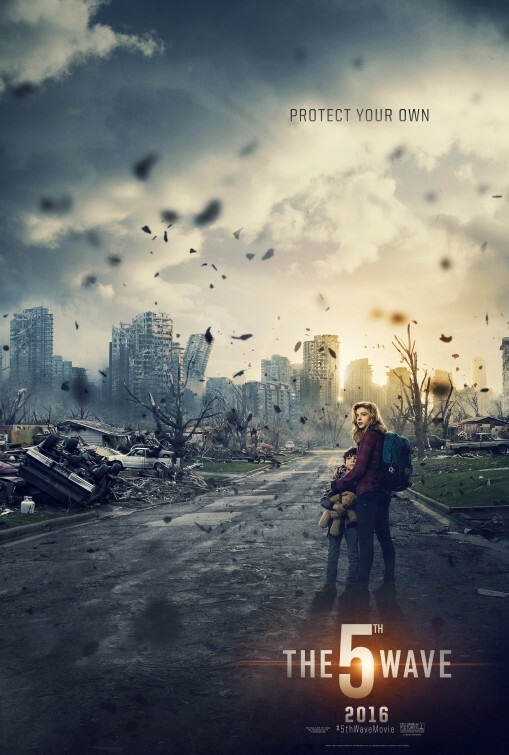 Coming off like a Muppet Babies retelling of Independence Day, The 5th Wave is the first novel in Rick Yancey’s trilogy following the after effects of an alien invasion that leaves the world in ruins. An electromagnetic pulse has destroyed anything with a current or engine, a super strain of the bird flu, and a series of catastrophic earthquakes that yield gigantic, yes, waves, has trimmed the population down by the millions. The screenplay by Susannah Grant (Erin Brockovich), Akiva Goldsman (Winter’s Tale), and Jeff Pinkner (The Amazing Spider-Man 2) often feels more mature than the characters speaking the lines, but that winds up helping the film overall. At the center of the mayhem is 16-year-old Cassie and her younger brother Sam (spoiler alert if you miss the first 15 minutes of the movie: the parents don’t make it…), left to fend for themselves against an alien race known as the Others who are taking steps to rid the planet of its inhabitants. When Cassie and Sam are separated by the kind of “just missed the bus” moments that can only exist in fantasy movies, the siblings find themselves split into two separate plot threads. One thread follows Cassie’s rocky journey to reunite with her brother and the other tracks Sam as he is recruited into an army of children trained to exterminate the alien species by a grumpy looking Liev Schrieber (Spotlight) and a heavily made up Maria Bello (Prisoners, who, it must be said, gets the biggest laugh of the movie thanks to a sight gag involving her red lipstick). There are a few twists that aren’t hard to predict, though to its credit the film doesn’t expressly telegraph each and every move. It’s the end of the world as she knows and she feels…ok? Though the first 1/3 of the movie is decently paced and mildly involving, its biggest problem is its bored-looking star. Using flared nostrils and expressive lips as a substitute for deep emotion, Chloë Grace Moretz (Carrie, Dark Shadows) saunters through the majority of the movie killing time and collecting her paycheck. She gets a few good tough chick moments but they are weakened by the film feeling obligated to give her googly eyes for a hunky piece of could-be-alien man meat (Alex Roe, filling the man-meat qualifications nicely). I actually found myself more interested in the parallel storyline of a squad of teens and pre-teens going through basic training, though overall it’s given unfortunately short shrift in favor of more Moretz moments. Led by Zombie (Nick Robinson, Jurassic World) alongside interesting but underdeveloped characters (like Tony Revolori, The Grand Budapest Hotel and especially Maika Monroe, Labor Day), had the film focused solely on the squad, it may have found its footing easier when it rounds the corner into its final act. A brief side note, I’m growing a bit weary seeing kids killing kids and being put into such deadly harm so parents, even though its based on a book your kids can pick up in their library, this easily earns it PG-13 thanks to several overly violent and disturbing passages. As to the conclusion of the movie, it’s no secret that this is the first in a planned trilogy so there’s little resolution to offer by the end…making the previous two hours feel like a large set-up to sequels that may not happen should The 5th Wave get deep sixed at the box office. My advice would be to wait until the second (or third, or fourth if they dare to split it into two movies) is released and catch The 5th Wave from the comfort of your own home. Synopsis: A bombastic TV personality is taken hostage along with his crew live on air. Unfolding in real time, they must find a way to keep themselves alive while simultaneously uncovering the truth behind a tangle of big money lies. Thoughts: I miss Jodie Foster. The two time Oscar winner hasn’t been in a film since 2013 (Elysium), choosing her projects so carefully that she’s now in a state of semi-retirement. So whenever she does choose to come out to play, I tend to take notice. 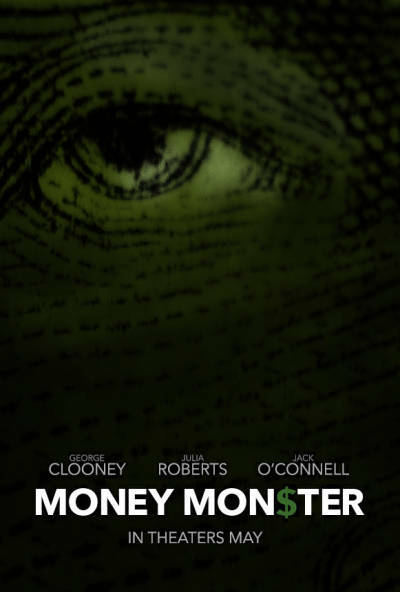 Foster’s in the director’s chair for Money Monster but she’s brought on some heavy artillery casting two mega A-list movie stars to play a brash financial guru and his weary producer that get taken hostage by an irate fan. Foster’s directing roster may be spotty but this has the whiff of something interesting, and not just because George Clooney (Tomorrowland) and Julia Roberts (Mirror, Mirror) look well-matched (too bad I Love Trouble hadn’t been made today…then again…). Co-starring Jack O’Connell (Unbroken) and arriving at the cusp of the onslaught of big summer pictures, I’ll invest some time in this Monster. 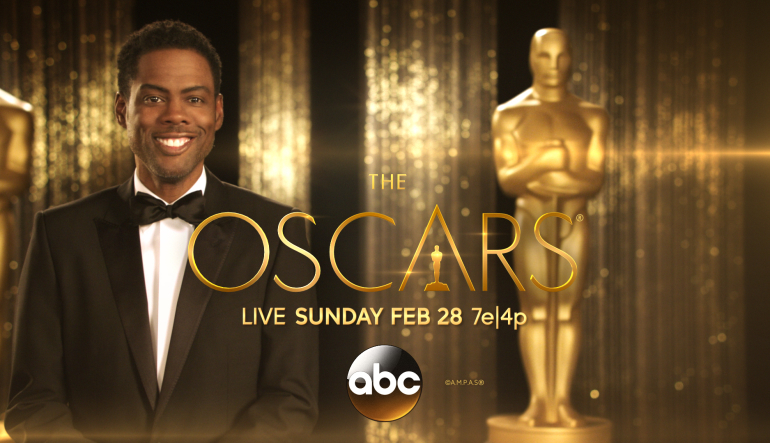 Every year I wake up Oscar morning so excited and every year I turn off the TV (or, in today’s case, closed my browser window) disappointed. No Ridley Scott nomination for Best Director? This is a crime. Another crime is The Academy being swayed by the studios into nominating Rooney Mara and Alicia Vikander for Best Supporting Actress for movies where they were clearly the lead (or co-lead) female. Terrible…and it bumped people like Kristen Stewart (yes, THAT Kristen Stewart) out of the race and also Vikander herself for the more supporting turn in Ex Machina. Helen Mirren too! Bryan Cranston’s nomination for Trumbo is almost as jokey as his performance…what a waste of a nomination. The Academy does know nominating Cranston as Trumbo doesn’t forgive what Hollywood did to the actual man, right? Sylvester Stallone in Creed…I whooped when the nomination was announced. Same with Tom Hardy’s nomination. Sad that a Best Animated Short nomination went to Sanjay’s Super Team instead of Lava, a much superior (and far more moving) short. Again…though they could have nominated 10 films, there are only 8. This left films like Straight Outta Compton, Carol, and Inside Out off the list. Aside from these initial observations, the nominations were fairly straightforward…but there’s still plenty of time for the tables to turn. This being a contest and all I threw in a few dark horse candidates and left out some bigger names just to keep it interesting. Synopsis: A big screen adaptation of J.G. Ballard’s novel centered on a new residential tower where one man finds himself in the middle of mounting violence. Violence that he also finds emerging in himself. Thoughts: I wouldn’t blame you if you haven’t yet heard of director Ben Wheatley. The Brit director isn’t well known in the states, having yet to make a commercial cross over hit that would get him the attention he deserves. His 2011 film Kill List remains one of the most deeply frightening films I’ve ever seen and now he’s movin’ on up to a deluxe apartment in the sky with High-Rise. A nicely done true teaser of a trailer, there’s lots to see but little explained…just like I like it. I’ve a feeling the finished film will be less straight-forward than it appears but I’m trusting in Wheatley to lead me down a worthy less traveled path. Starring Tom Hiddleston (Only Lovers Left Alive), Sienna Miller (American Sniper), and Jeremy Irons (Beautiful Creatures), this is popping up first in England but should make its way to our coast sometime in 2016. Thoughts: A follow-up to his supreme 2013 fright fest, director James Wan (Furious 7) returns with stars Patrick Wilson (Prometheus) and Vera Farmiga (The Judge) as paranormal investigators Ed and Lorraine Warren. With a filing cabinet full of The Warrens cases on which to base the sequel (including a stop in at that famous house in Amityville), it’s nice to see Wan and company go international in search of spookier scares. Though this first look is billed as a “teaser”, it runs around two and a half minutes and manages to pack in some dandy macabre morsels. The first film scared the pants off of me but I’m crossing my fingers that Wan’s sequel doesn’t suffer the same fate as the lackluster spin-off Annabelle and Insidious: Chapter 2, the disappointing continuation of Wan’s breakout hit Insidious. Synopsis: The vacation of a famous rock star and a filmmaker is disrupted by the unexpected visit of an old friend and his daughter. Thoughts: There’s something intoxicating about any movie Oscar winner Tilda Swinton hitches her cart to. From a hipster vampire in Only Lovers Left Alive to the amped glam of her Trainwreck character, Swinton falls madly into her work as we gleefully fall with her. Reteaming with her I Am Love director Luca Guadagino for some romantic intrigue in the tropical sun, Swinton’s a rock goddess on holiday with her boyfriend (Matthias Schoenaerts, The Danish Girl) visited by an old chum (Ralph Fiennes, Skyfall) and his daughter (Dakota Johnson, Fifty Shades of Grey). Looks like a film where a lot of “Secrets Will Be Revealed” but seeing that Swinton hasn’t yet made a movie not eminently watchable, I’ll take a dive for A Bigger Splash.